August 22, 2016 0 comments on "Tips for a More Effective Prayer Life"
So many people underestimate the importance and power of prayer. Some tend to view it as a short recitation at meals. Others see it as a last resort. “There’s nothing we can do now but pray,” we often hear stated. But prayer is so much more than either of these. If Jesus felt the need to give prayer such a priority, then how much more should we depend on it? If it wasn’t powerful and effective, Jesus wouldn’t have spent so much time in prayer. So how can we make prayer a more active part of our lives? How do we fit such an important practice into our busy schedules? Here are a few simple tips that may help. I always tell my boys that going out the door without prayer in the morning is like riding in a car without seatbelts. Prayer shouldn’t be just something on your “to-do” list. It should be the first thing on our list. It is essential to cover our lives and our families in prayer. We are not always in the mood to pray. We get busy and side-tracked. So we have to discipline ourselves to pray just like we discipline ourselves to wash dishes, clean the house, and do laundry. Pick a quiet time and place. “Sure,” you say. “When would that ever be?” This can be one of the most difficult things to accomplish. With babies, young children, or even teenagers, it can be almost impossible to find a minute to yourself. But try to find some time in the day when you can have a few moments alone. It could be early morning, the baby’s naptime, when the kids are off to school, or at night when they are all asleep. Spread your prayer throughout the day. If you can’t manage one solid block of time at once, divide your prayers into smaller segments several times a day. This keeps us in an attitude of prayer and in close contact with our Heavenly Father. He understands our time limits and demands. This has been extremely helpful to me. Writing down your praises, thanksgiving, requests, and burdens has several benefits. It helps you to stay focused and on task. It’s so easy for your mind to wander, just when you sit down to pray! Recording your prayers enables you to remember all the things you want to cover. Maybe the most important aspect of all, is that you can look back over the months and years, and see how God has faithfully answered. There have been times when my sons would question whether God really answers prayer. I would take out several years of prayer journals and point out many instances of proof of this. They were amazed! With a little planning and preparation, we can have a more fruitful and fulfilling prayer life. This daily investment of our time now, will reap great rewards – both now and eternally. 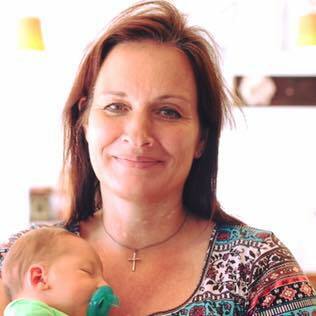 Inez Haythorn is a Christian wife, mother, elementary school teacher, pianist, and freelance writer. Her main writing interests are Christian writing, and writing about lifestyles and memoirs of the past. She is the publisher of Christian Family Treasures, Heirloom Memories, and Cherished Collections. Her goal is to glorify and honor God, and bless and help others. Copyright 2003. All rights reserved. Reprinted with permission.